“Give Microsoft Edge a shot,” new prompt says, but the bigger problem is getting users to stick with it. Microsoft is showing a little desperation as it tries to boost adoption of its new Edge browser in Windows 10. 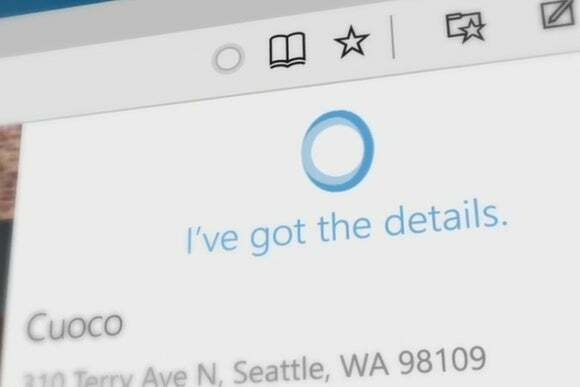 In a newly-leaked Windows 10 preview build, users who try to switch away from Edge as their default browser will see a pop-up message, prompting them to “Give Microsoft Edge a shot,” The Verge reports. This message appears in the default apps section of Windows 10 settings, and includes a few bullet points on Edge features, such as page annotation, distraction-free reading view, and Cortana assistance. Below those bullet points, “Don’t switch and try it now” option appears highlighted in blue. Another option to “Switch anyway” is not highlighted. Windows 10 already makes switching browsers more of a hassle than it used to be. In older Windows versions, users could set their default browser directly through the browser itself. In Windows 10, users must instead visit the Default Apps menu in Windows Settings. Pressing a button in Chrome to set it as the default, for instance, merely dumps you into the Windows Settings menu, where you must manually select Chrome under the “Web browser” section. The story behind the story: Edge plays a big role in Windows 10’s monetization strategy, so it’s no surprise that Microsoft is inventing new ways to push it. But the bigger challenge for Microsoft will be getting people to keep using Edge after they’ve given it a shot, as market research shows users trying and quickly abandoning the new browser. While Edge looks slick, it’s missing some basic features (such as a “Save As” and “View Image” options), and there’s no timeframe on the arrival of extension support. Microsoft may want to consider shelving its pleas until the browser is a bit better.